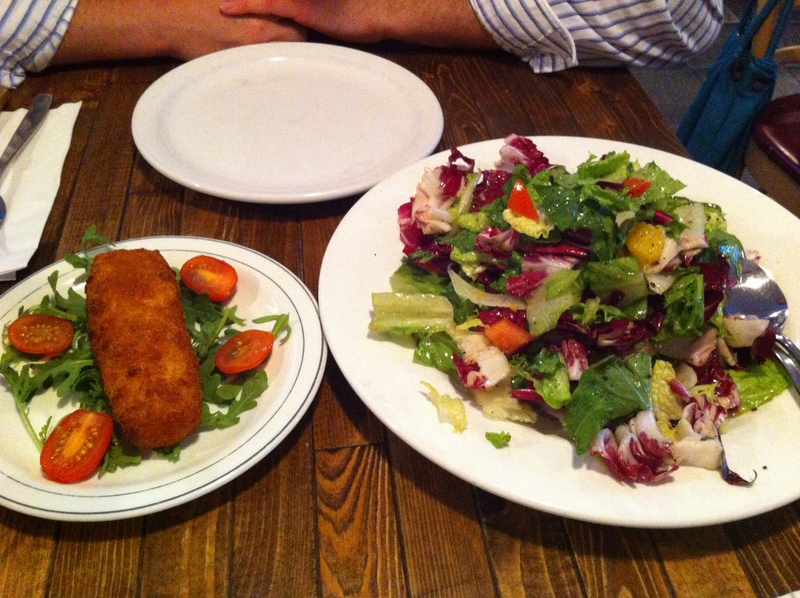 No wonder Pizzeria Via Mercanti was ranked #1 on NOW’s Top 20 Pizza Places in Toronto. Even I, notoriously picky though I am, couldn’t find anything to complain about. Kensington Market is an ambient place, and Via Mercanti has its own cool ambiance as well– albeit more authentic Italian kitchen than tripster paradise like some of the other joints around. We had a really nice server (Brit, maybe?) who was tirelessly making sure we had everything we needed, and had a great smile and a fun turn of phrase (“enjoy the good company!”). We ordered the Potato Croquette to start, which was melt-in-your mouth mashed potatoes with ham chunks, breaded and deep fried. We also had the Mercanti Salad (romaine, fennel, radicchio, orange, oil/white balsamic) which was a light and tangy accompaniment to our 2 delicious, filling pizze: the classic Margherita (basil- although not much, fior di latte aka mozarella made from cow, not buffalo milk, and a delightfully light but flavourful tomato sauce) and the Pomodorini, prosciutto crudo and rucola (translation: cherry tomato, uncooked Italian Parma ham and arugula, with oil and fior di latte). 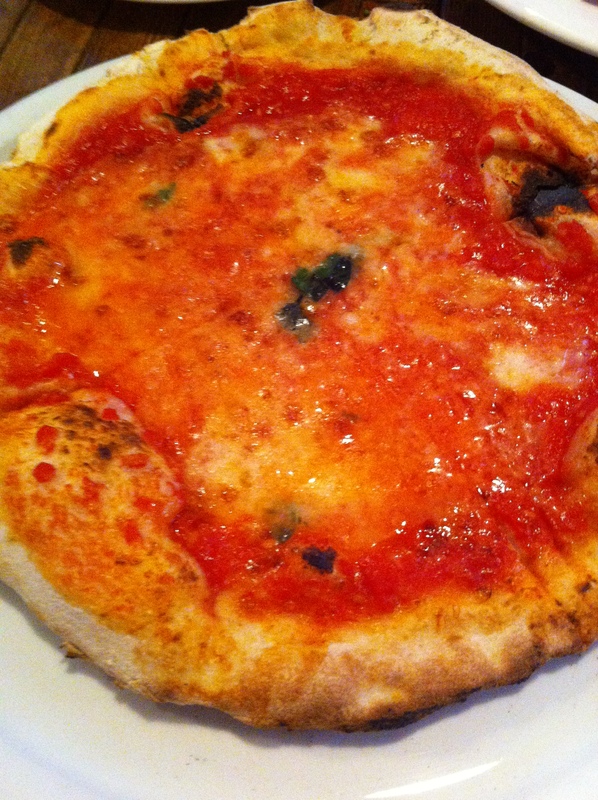 Our pizze had amazing flavour and we perfectly cooked, with a nice chewy Neapolitan crust, bubbled around the edges. This entry was posted in Dine Under $50, Italian, Recommended and tagged gelato, pasta, pizza, pizze, tiramisu. Bookmark the permalink. That looks so good I want one now! !